The Leeds based Electrician you can trust for all your electrical needs... Electrical testing, Installation and Maintenance for Industrial, Commercial and Domestic..NICEIC Approved contractor and Part P compliant. From a socket to a rewire, call free for a free verbal quote. Competitive rates and no call out charge. Whats that then They were published in January, they came into force on July 1st but what are they?Dont be embarrassed if you arnt aware of the 17th Edition of the wiring regulations or how they affect you, your not in a minority. The new regulations are an improvement to electrical safety for all future domestic electrical installation and the next step in the harmonisation of European wiring regulations. 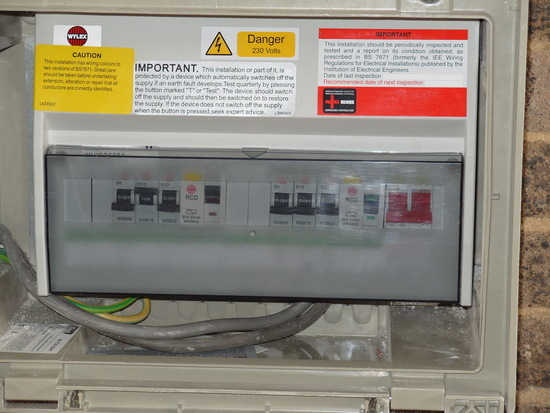 Due to their inclusion in the building regulations through part P they are also the law.With all the uncertainty, make sure you go with a part P compliant contractor who makes your electrical safety their priority. Martin Day Electrician, the Leeds electricians you can trust for commercial and domestic electrical needs. Our reputation is your garantee of a good job at a fair price. NICEIC Approved contractor and Part P compliant with the domestic installer scheme. All electrical installation work undertaken from extra sockets to a complete re-wiring. Over 25 years experience in the trade. 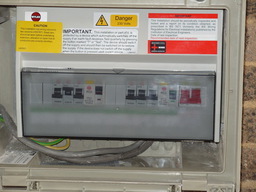 Fault finding, small works and repairs, testing and inspecting, fire alarms, PAT testing.